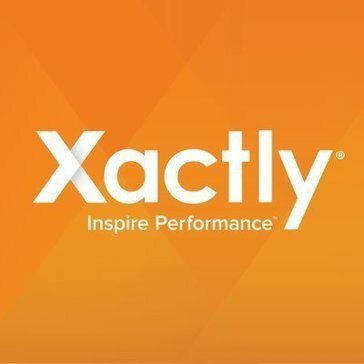 Work for Xactly Quota & Territories? Learning about Xactly Quota & Territories? "Best Platform for Quota and Territory Management." The best part of Xcatly is it knows how to automate the complex process of angling quota and territories to the sales team. We had issues of Onboarding and training the sales reps but as we have Xactly the entire process of Sales Enablement has been streamlined. Account Based Engagement helps the team to focus on some priority and potential accounts. I do want to say that reporting is quite complex and needs some extensive training, However the output is remarkable but I do believe that they should simplify the reporting process. Xactly is Globally know and Professionally acknowledged for its product. Enterprises who have a large number of workforce in sales department always have issues with Quota,Territories, Sales Compensation Plans, Sales Forecasting, etc hence Xactly Quota & Territories would be the right choice which can solve all the sales related issues and gain visibility into sales performance management. "Perfect way to get accurate results"
The best thing I like about this platform is accuracy. Now we are easily able to complete our quota adjustments on a timely manner every quarter. Territory assignments helps us to assign the territories correctly which helps the team to be more productive. Reporting is something which is complicated for a new user. Rest all is perfectly fine and helps us a lot to gain accurate results. Xactly will help to streamline all the activities of sales operations including compensation, quota and territory management. Visibility in the performance can be seen using a perfect tool like Xactly. Territory design and planning is completely automated and saves lot of time. We can now analyze alignments which helps us to maximize opportunities and cut the travel cost as well as time. The Sales bar is an excellent solution for onboarding reps on fast-growing teams, grabbing fast spikes in sales results, and building benches of Sales Managers. It’s for leaders scaling the team, transitioning reps between roles, or facing a growth target that headcount alone can’t solve. * We monitor all Xactly Quota & Territories reviews to prevent fraudulent reviews and keep review quality high. We do not post reviews by company employees or direct competitors. Validated reviews require the user to submit a screenshot of the product containing their user ID, in order to verify a user is an actual user of the product. Hi there! Are you looking to implement a solution like Xactly Quota & Territories?